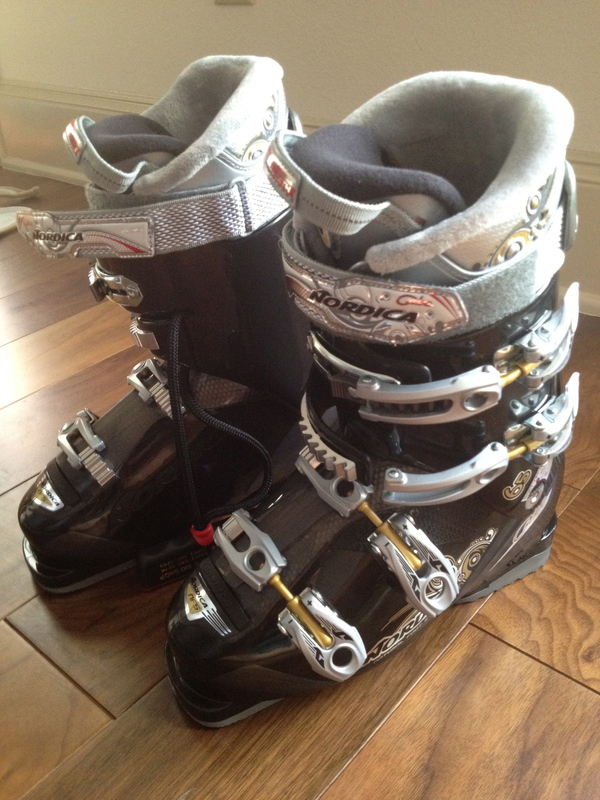 I realized one thing from my ski trip…I need my own ski boots! I always have trouble getting in and out of the rentals because I have kind of big legs. Usually, I end up getting pretty bruised up because they are so tight on me. I also don’t like the idea of putting my foot in the same boot that hundreds of other people have put their foot in, even if I know they disinfect. Every time I go, I come to this realization, but today is the first time I did anything about it. My mom and I went out ski boot shopping and ended up in McKinney at Doug and Lynda’s Ski Shop. They have the nicest people working there. The man who helped me pick out boots was so nice and helpful. He made sure to give me tips from how to put them on properly to how to store them. He found a great pair of Nordica boots that weren’t ridiculously priced that fit me!! My mom decided that she wanted to get these for me for my birthday, so that makes these extra special! The lady that checked us out was super sweet, too. She followed us to the car to make sure we had good directions to our next location. I’m pretty sure I’m going to have to go back for my own skis next! I can’t wait for my next ski trip! Those are awesome!!!! I can’t believe you got your own! 🙂 Taylor would probably freak out if we got there and she realized she had to use shoes someone else wore. Haha! That’s kind of how I always feel too! I’m so glad I have my own now!!! !